Just because most people choose to get married in summer doesn't mean it's always the best time to do so. In fact, fall weddings are an increasingly popular trend for many unique and convenient reasons. Here are just a few reasons to consider having a fall wedding. 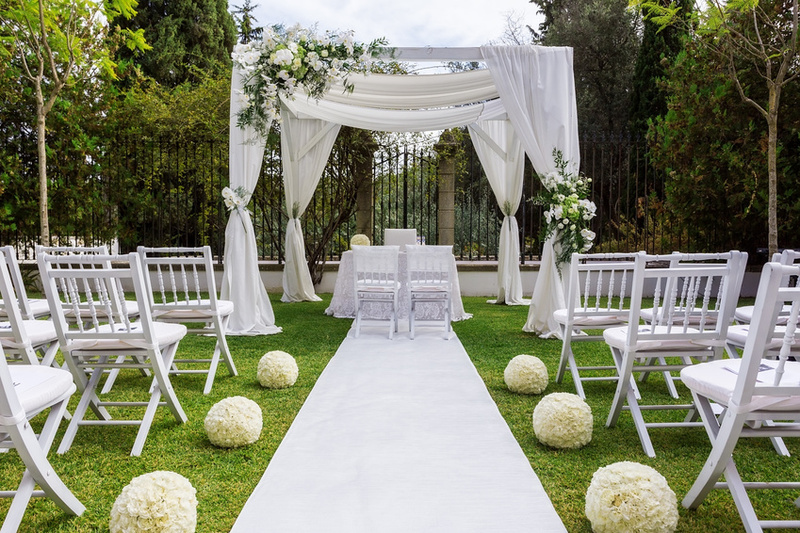 Normally it's a good idea to book your wedding reception site as soon as possible once you're engaged -- at least a year to nine months before the wedding. However, if you choose to have your wedding in fall, you'll probably have a wider range of dates and times to choose from. Many couples who get married during the fall months say that the breathtaking sights and smells make the experience unforgettable. Not only is the temperature more moderate, but there is a lower chance of rain as well. "Fall isn't nearly as rainy as summer, so if you're in an area that isn't super cold, you have a more sure bet for the outdoors," says wedding planner Jason Mitchell. The biggest aesthetic advantage of fall weddings is the foliage. The beautiful reds, oranges, and yellows make beautiful backdrops for any type of wedding photos. But more importantly, they accent the beauty already shining from the beautiful couple. If you want to take full advantage of all that fall's natural color scheme has to offer, consider coordinating your wedding colors and decor as well. One aspect of fall weddings that many couples don't think about is the ability to incorporate a number of seasonal favorites into their catering plans. Brides says that locally grown, fresh organic produce is popular due to its savory flavor and versatility. Don't forget to consider the benefits of seasonal cocktails, too! Apple ciders and pumpkin-based beverages are a huge hit at any occasion. There are countless comfort food and drink options that take classic fall foods and transform them to the next level; it just takes some planning and coordination. Finally, fall is the perfect season to incorporate a fun activity in your wedding plans. Camping, for example, is an affordable way to make memories and have a creative wedding experience. Group cabin rentals often get discounted rates, so you'll be able to save even more money. Ultimately, fall weddings may not be for everyone, but they offer countless practical and aesthetic advantages. For more information about wedding venues, contact Mountain Springs Lake Resort.